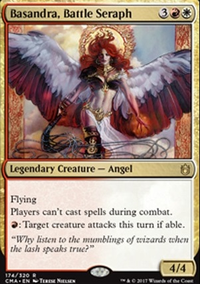 i've never seen this commander but I'm starting to really like it ! Thanks ragnaerok! I'm glad the sideboard is good to go I was worried about that most. Those seem like pretty good pretty good ideas, Tanglesap sounds great because if there are a lot of unfavorable blocks, I could almost pull off a one sided board wipe. I think cutting Coiling Oracle would be best because it's x4 less blue symbols I need for creatures and I think I could cut one fog so that I could have 3 Tanglesap and 2 Game-Trail Changelings. 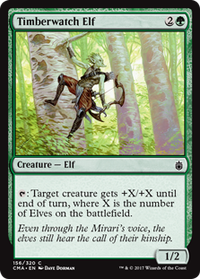 I like the Game-Trail Changelings because they're a nice addition to a fairly low curve. You can probably try using Tanglesap if you cut Sakura-Tribe Elder or Coiling Oracle and go all aurochs and maybe adding Game-Trail Changeling. Love the theme idea. You think Tanglesap could work here as a one sided Fog? 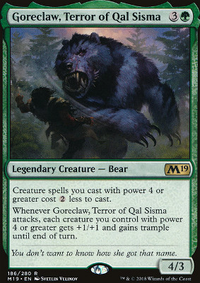 I made a similar deck You can't deal damage to me :)!, I would recommend adding spells that counter all damage for a turn like Vine Snare,Winds of Qal Sisma,Respite,Tanglesap,or Defend the Hearth. Amulet of Vigor seems extremely vital. A playset seems like it would work really well. I also really like the Batwing Brume. A redirection of sorts. I can see the utility in that for sure. Isochron Scepter and Silence is a pretty legit combo. 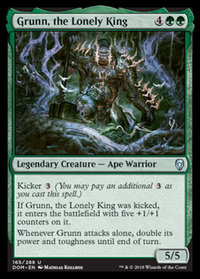 Silence alone is one of the most evil cards ever and being able to do that every turn is just nice. The main reason I run 4 copies of those specific gates is due to the amount of green I have. Otherwise I find myself missing that one green mana for half the game. I was planning on dropping those down to 3 each once I procured my other copies of Maze's. 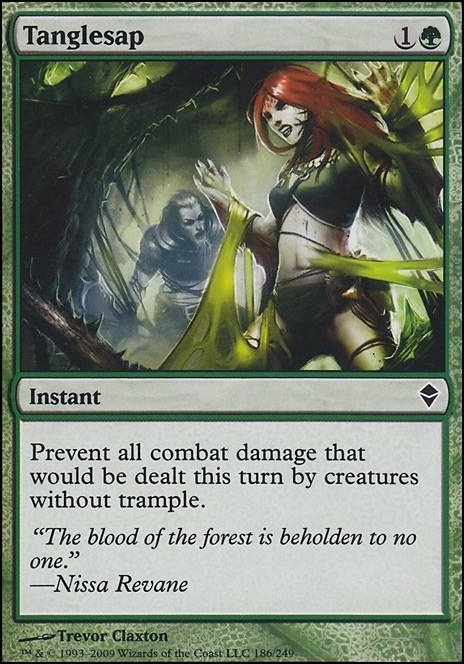 So instead of trying to play an aggro sideboard, switch to control? I can see that being better more often than trying to rely on a bunch of aggro cards early on. How do you feel about the Door to Nothingness? 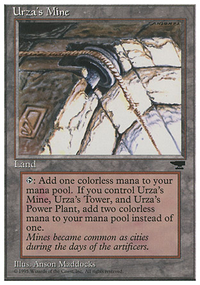 I feel like it could be viable since I have to get a bunch of lands for the Maze's anyways, and have a second back-up insta win con.